Expert Quality, for the removal and manipulation of interior trims i.e. door panels, dashboard fascias, trim strips and other similar applications in the automotive, marine and aviation industries. 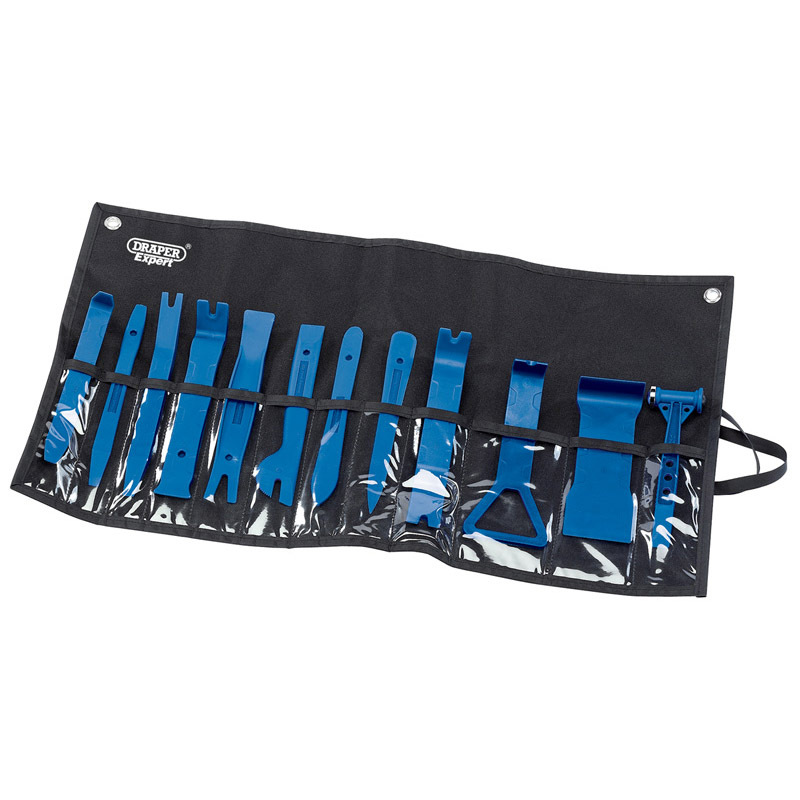 Comprises 12 special non-marking nylon tools that fulfil specific requirements, all in a heavy duty canvas compartment tool roll with hook and loop fixing. Display carton.